Partnership and support are the heart of our Laboratory Medical Billing Division. 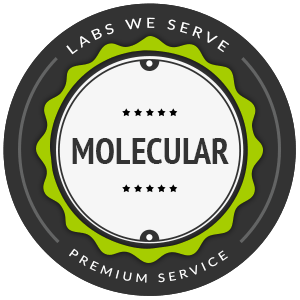 Our business model was built exclusively for labs and their billing needs, and our 100% client retention rate proves that we value the partnerships we form. We understand that the success of your laboratory relies on uninterrupted cash flow, and our approach (from day one) focuses on the maintenance and growth of your lab’s revenue cycle management. 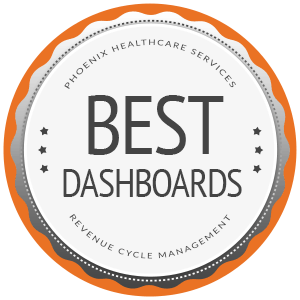 We have the dashboards, experts, and solutions available to help you minimize losses and maximize profits. Laboratory teams need access to unique data to make fast, informed decisions. 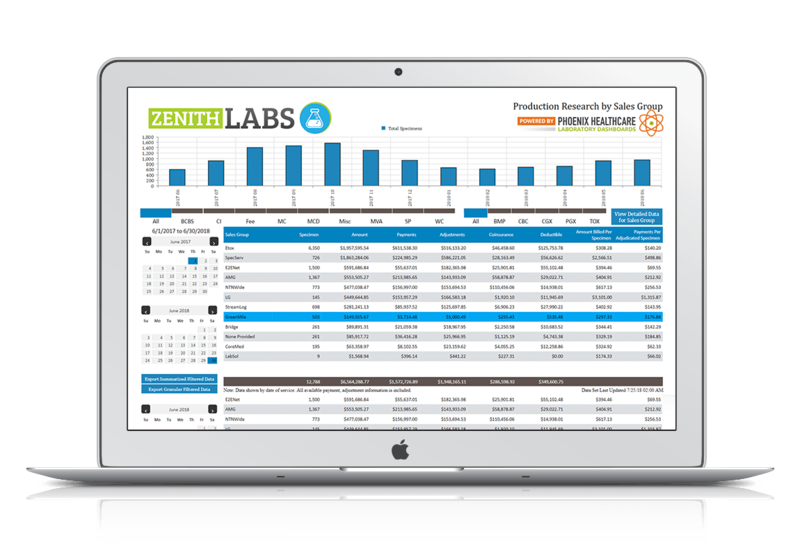 Our simple, custom-designed mobile dashboards will expose referral opportunities, inspire team member collaboration, and influence a proactive environment for your lab. 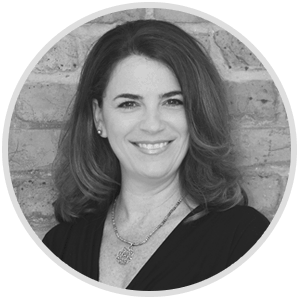 Accuracy is one of the most significant laboratory revenue cycle management challenges. 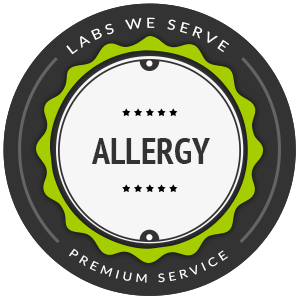 Without accurate data, your lab will experience inefficiencies that will ultimately result in sample net losses. 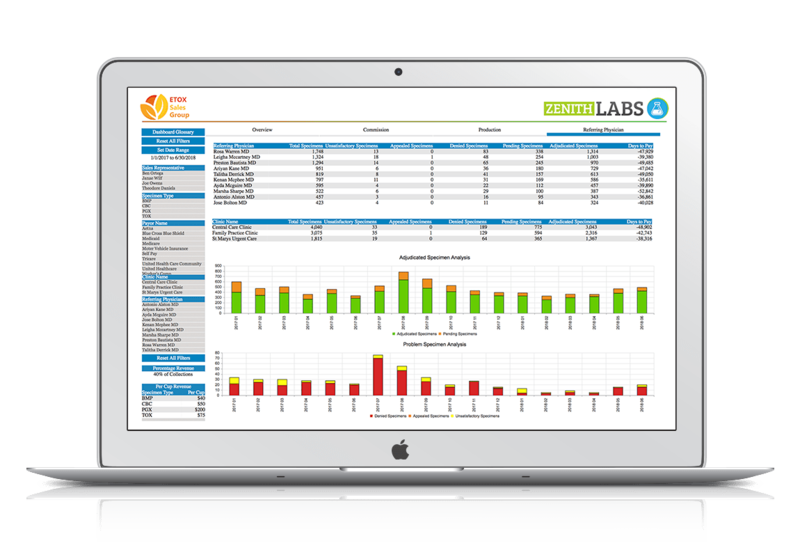 Our intelligent laboratory dashboards will help you avoid unnecessary write-offs. 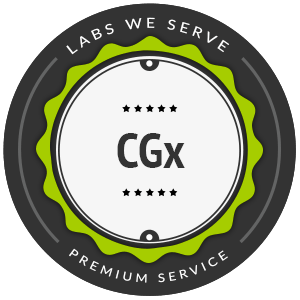 Moreover, our lab RCM experts will help increase coverage discovery, confirm patient activity levels, boost the probability of payments, and much more. 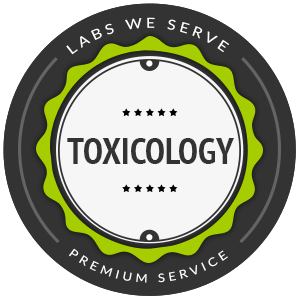 We specilaize in serving toxicology, PGx, CGx, women’s health, allergy, and molecular labs. 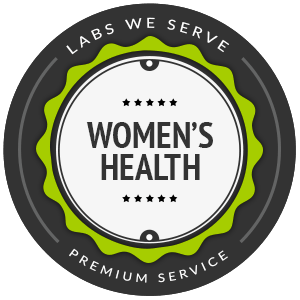 We understand all-too-well how complicated laboratory payer enrollment can get. Download our free PDF— let us be your payer enrollment champion. We do our best to stay on top of the latest laboratory news. He’s what we know about EKRA, and how it might impact your laboratory. EKRA creates criminal penalties for any individual or organization that solicits or receives any compensation (including any kickbacks, bribes, or rebates) directly or indirectly, overtly or covertly, in cash or in kind, in return for referring a patient or patronage to a recovery home, clinical treatment facility, or laboratory. Leaders in laboratory medical billing services. 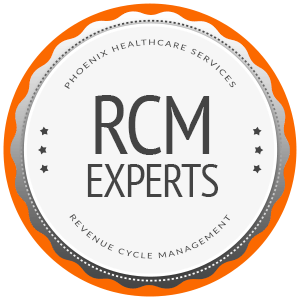 Eliminate integration complexities with our fully-flexible RCM platform. 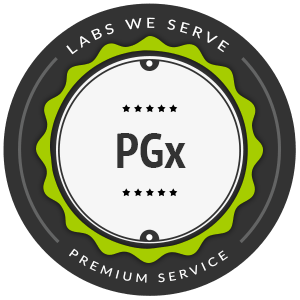 Built to be reliable and scalable, and to deliver faster and easier Laboratory Information Management Systems workflow. While the competition is basking in their victories, we’re busy focusing on the industry we serve, building our technological foundation, and improving our customer service skills.  Experience unmatched Laboratory RCM results, as well as a true sense of partnership when working with the Phoenix Healthcare Services team.